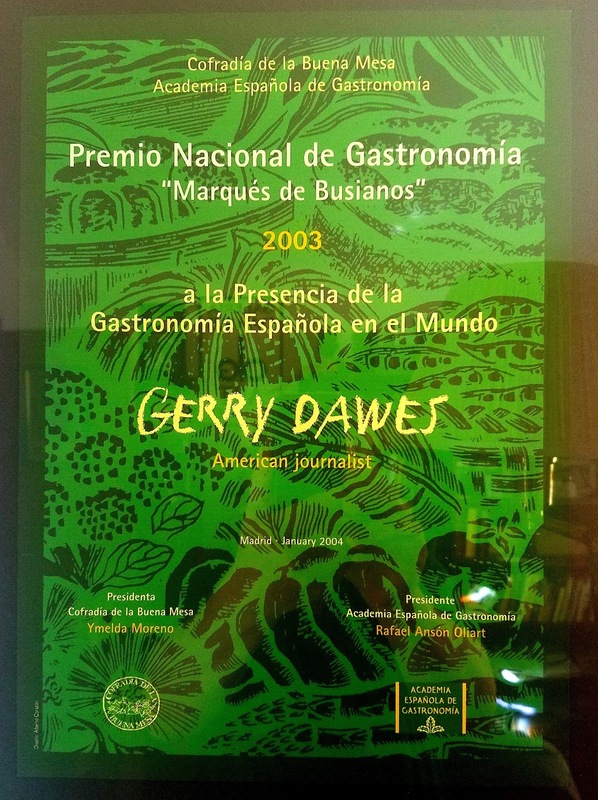 Gerry Dawes has been traveling in Spain for more than 40 years with over 100 (60 in the past decade ) extensive food and wine trips to Spain. 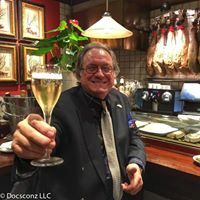 He has been cited for his knowledge of Spain in The New York Times and New York Times Magazine, New York Newsday, The Wine Spectator, The James Beard Foundation Newsletter, Food Arts, Men's Journal, and Spain's El País, El Mundo, Cambio 16, and Restauradores. Dawes has led numerous culinary and wine tours to Spain. His clients have included The World Trade Center Club, Club Managers of America Wine Society, Chef Mark Miller and his management team, the mythical 61st Tactical Fighter Squadron and The Commonwealth Club of California. "Spain wouldn't be as known to Americans without the stories Gerry tells and writes. "– Ferran Adrià, El Bulli, considered to be the world’s top, most innovative chef. 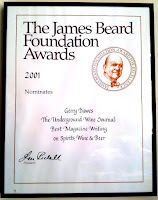 "As a young chef arriving in America from Spain in the early 1990s, I came to see Gerry as an ally. At the time, I found myself struggling to explain Spanish cooking because people either had no idea or they had the wrong idea. It was a battle. But Gerry's writing meant I was not alone in telling Americans about piquillos and escudella and jamón. 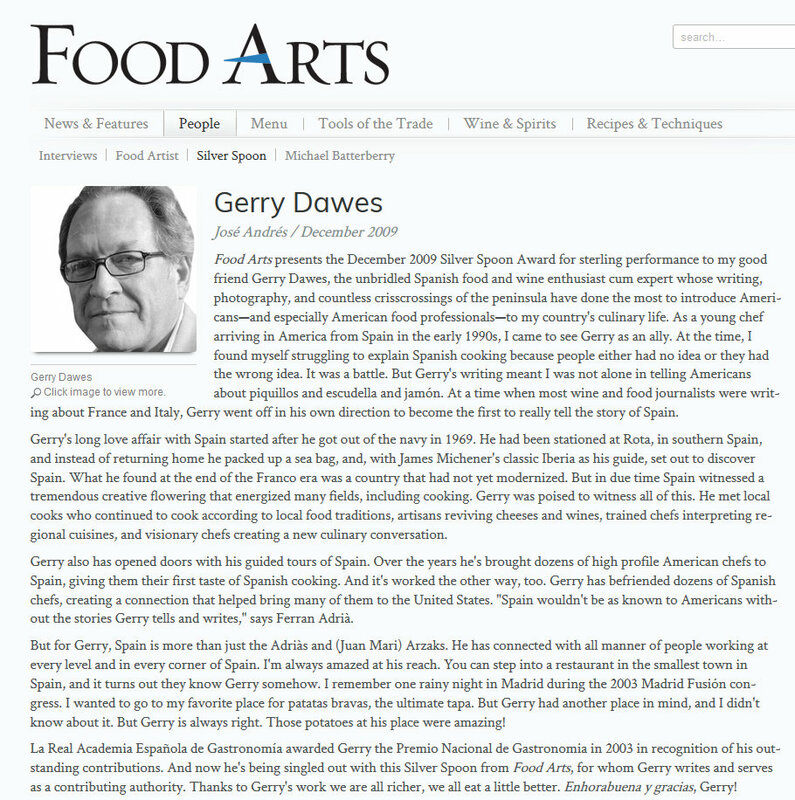 At a time when most food journalists were writing about France and Italy, Gerry went off in his own direction to become the first to really tell the story of Spain. "– José Andrés, James Beard Award Winning Star Chef, Jaleo, Zaytinya, Café Átlantico Minibar (Washington, D.C.); Bazaar (Los Angeles). "Gerry has an extraordinary knowledge of Spain, not just the cuisine and wine but the geography (little tapas bars on tiny streets in villages up in the mountains), history, culture and people. One of the highlights of the trip for me was not a 3-star Michelin meal, but a lunch at a winery. Gerry, of course, knew the winemaker, and we dined in a large beautiful room with floor-to-ceiling windows overlooking the vineyard. We ate simply: tomato salad, jamón ibérico, great bread and olive oil, baby lamb chops grilled over grape vines cuttings (exquisite), ewes’ milk cheese and, of course, great wine. What was special about this was the people, who invited us into their home with warmth and genuine hospitality, their alegría de vida (joie de vivre). I don’t speak Spanish but didn’t have too, we communicated through food, wine, banter, laughter and facial expressions." - - Terrance Brennan, Chef, cookbook author, creator-owner of New York’s Picholine and Artisanal restaurants. Brennan rates this trip, which predates the film pilot, as one of the top two gastronomic experiences of his life. 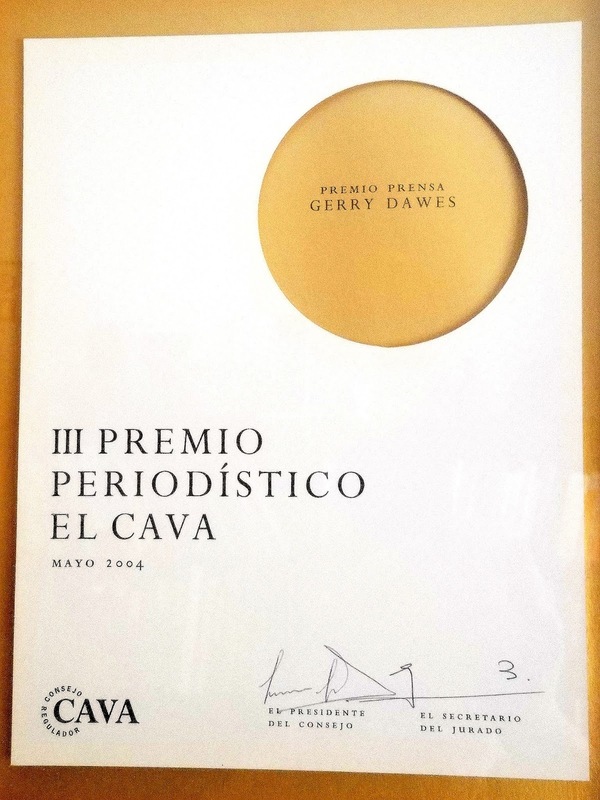 "I have been reading Gerry Dawes’ work on Spain for years, have been guided by him on visits to Spain, depend on him to answer any questions I might have about Spain, and hear from him when I get something wrong about Spain. No one is a more indefatigable lover and authority about his adopted country, and no one writes better about its food and wines. "- -John Mariani, Mariani's Virtual Gourmet Newsletter; columnist for Esquire, Wine Spectator, Bloomberg News and Radio, and Diversion. He is author of The Encyclopedia of American Food & Drink (Lebhar-Friedman), The Dictionary of Italian Food and Drink (Broadway), and, with his wife Galina, the award-winning Italian-American Cookbook (Harvard Common Press). 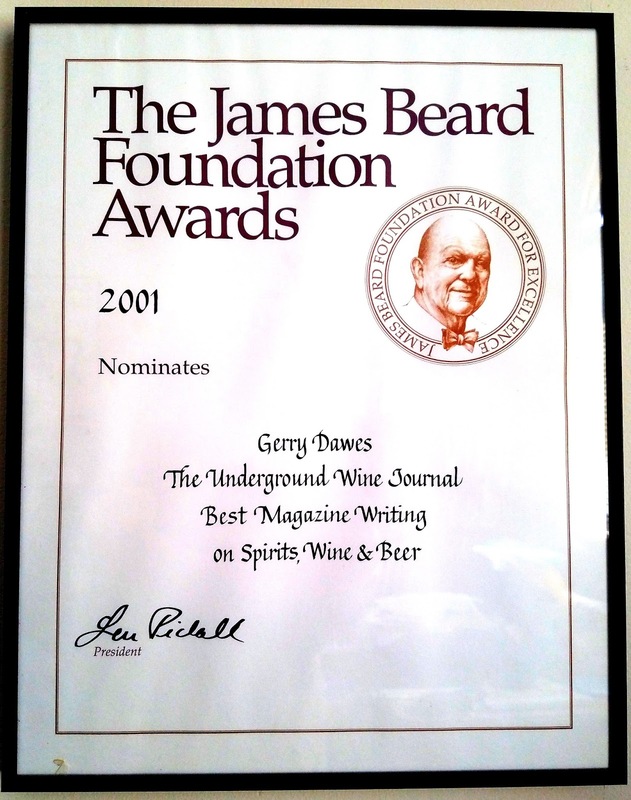 "My first introduction to Spanish cuisine was a fabulous two-week trip I took all around Spain with Gerry Dawes in 1990." -- Thomas Keller, Chef-owner, The French Laundry, Per Se, Bouchon, Bouchon Bakery, Ad Hoc. "As with most culinary adventures, for Terrance Brennan (Chef-owner of New York City's Picholine and Artisanal restaurants; Founder of Artisanal Premium Cheese Center) it began as an occasional whisper. Then it became a persistent drone. And, finally a repetitive shout: 'Spain! Go to Spain! . . . Spain is the new France!' It was hard to ignore, so when his long-time friend Gerry Dawes suggested a whirlwind gastronomic tour of Spain, Terrance leapt at the idea. Dawes often referred to as 'Mr. 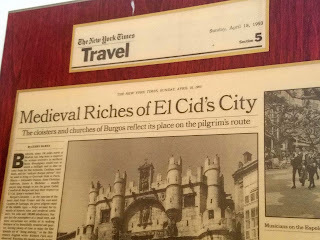 Spain' (in culinary and wine circles), is an expert on that country's food, wine, and culture, and was the ideal person with whom to make the pilgrimage. Reigning in Spain: Blazing Through a Culinary Tour, The Artisanal Table, Summer 2008. 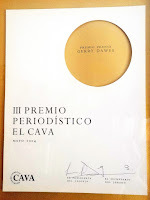 "I have taken ten trips to Spain, but the best trip was the one Gerry Dawes orchestrated. His love and knowledge of the foods and wines of Spain are intoxicating. His ever present enthusiasm made my Spanish experiences with him memorable." - - Mark Miller, Chef/former owner, Coyote Cafe (Santa Fe, New Mexico), winner of the James Beard Foundation's Southwestern Chef of the Year Award 1996. "Our first trip with The Commonwealth Club turned out to be one of the best trips we'd ever taken in our many years of world travel. We experienced an unforgettably wonderful slice of culture that far exceeded our expectations, due to The Club's relationships with chefs and winemakers in Spain." Joe and Linda Rubino, Club Travelers, the lead quote in The Commonwealth Club Travel internet page.